Slice cucumber lengthwise into stick (to replace the celery stick). Cut lemon and lime into quarter wedges. 3 green olives on each toothpick/plastic sword. Rim jar with celery salt. Daisy Dukes Mason jar/glass over ice. 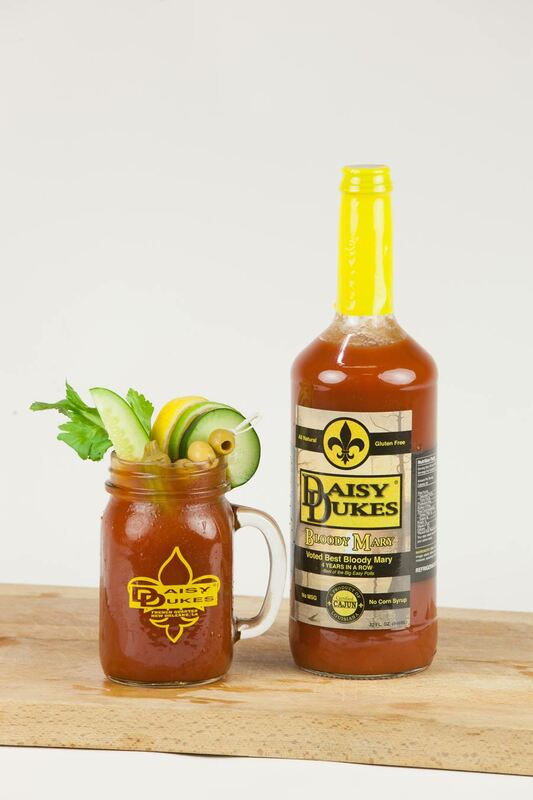 Serve on ice in Daisy Dukes mason jar/glass with all garnish.